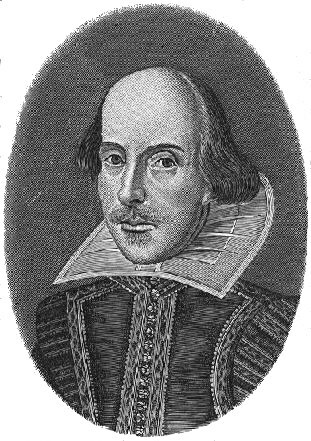 --we created this forum on William Shakespeare's birthday (and deathday)! YEAHHHH!! WOOO!! I DON'T KNOW WHAT IS GOING ON!! Is that a good or bad thing? Or is it more of an indifferent thing? A happy thing? A sad thing? A thing thing? I should shut up now. But I won't. You have nothing better to say. I think it's a good thing. But then again deathday sounds like a sad thing. You bring up good questions. I don't know either. Yes! My questions must be answered! Or ignored. I am indifferent to such things. And yeah, "deathday" is a bit morbid, but it's interesting that such a famous dude was born and died on the same date, isn't it? I think deathday is a lovely thing and that it's awesome that Shakespear's happens to coincide with his birthday. Shakespeare was born and died on the same day? Neat. I didn't know that. Or maybe I did and I just forgot. Yeah I know you are. If I could understand it I think I would like his stuff more. You could always find the versions of his plays that have the "translations"? Like what they used to give us in high school. Or just watch the movie adaptations. If they're done well, the language and intent should be pretty clear. But that means putting effort into it! Maybe when I have a free summer, I'll go ahead and do just that. Then I can educate myself. You should check out Much Ado About Nothing. Whedon filmed an adaption of it and released it recently. I need to get ahold of it and watch it. If I ever watch anything that Shakespeare wrote, it's either because school or Grace. But yeah, i'll definitely look it up. Oooh I'll look up the Whedon version. Much Ado is my favorite Shakespeare play, and my standby movie version is the one by Kenneth Branagh. Should be interesting seeing how Whedon did it.